Should we ever stop learning? In some ways my last day of high school seems as if it was only yesterday and in other ways it feels like an eternity has passed. On that day I remember thinking that the days of relentless learning in a classroom were finally over; little did I know that in reality the days of learning were only just beginning. I don’t think we ever really stop learning in life and when you think about it we shouldn’t, the world is constantly changing and moving forward and if we remain static then there’s a chance that at some point we’ll get left in the shadows. It always amazes me when I look at the history of once great companies who have somehow ended up in the doldrums. When you look at the cause, it is almost always down to a failure to keep up with changing times or invest in new technologies. We even have examples in our modern day history with certain companies leaving it too late to embrace the world of e-commerce only to suddenly have found that their 100 year company history now lay in tatters. It’s probably true that most people don’t enjoy learning. I actually do enjoy it but I don’t think too many people relish it. As a result many of us only take up new learning opportunities if we are forced to because our employer requests it or perhaps redundancy has prompted us to head in a different career direction. Have you ever considered taking the initiative to explore different learning opportunities before they are forced upon you? Perhaps you have but your good intentions have never led to action. It can never hurt to expand your learning and it also doesn’t hurt to have too much knowledge, does it? For instance could you enhance your career or salary prospects by learning new skills or gaining some new qualifications? I know many people who have done just that and have never looked back. Often their new skills have opened up doors that they would have never expected. Learning a foreign language* is something that could open up doors too as companies continually try and take advantage of foreign markets. What about taking the initiative to gain some technological skills that could help you to progress as our world becomes ever more digitally orientated. I always admire those in the older generation who take the initiative to keep abreast with modern technology. Not only does it seem to help them to stay in touch with the world around them but they always seem to have a sense of vibrancy about them because they are so proud of their achievements. The same can be just as true for those of any generation. New learning keeps us mentally active, stops our ambition from stagnating and it can fill us with a sense of achievement. So when it comes to learning don’t just wait until it is forced upon you. Take the initiative to keep ahead in our ever changing world and expend your horizons. They say that knowledge is power and this is a statement that will remain universal no matter how much the world changes, as you will be moving ahead with it. By taking the initiative to keep on learning you will be keeping the power in your own hands rather than letting those around you control the direction of your life. Do you have any learning goals for the coming years? How Could Learning a New Language Help Your Career? Want to start a business? Just Do It! 2 Responses to Should we ever stop learning? I can’t even imagine what my life would be like if I decided to stop learning. To stop learning it to stop growing, and to stop growing is die–mentally, spiritually and physically. 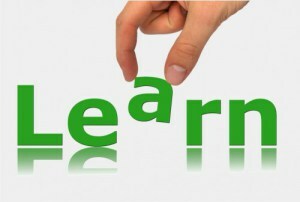 No, we shouldn’t stop learning, we should continue to learn new skills. My goal is to learn more about WordPress and I want to develop more skills as a VA.